Price: $16 for 8 oz. / $30 for 16 oz. Ingredients: Distilled Water for a botanical infusion of Burdock Root Extract, Nettle Leaf Extract and Oatstraw Extract, Olive Oil, Vegetable Glycerin, Wheat Extract, Cetearyl Alcohol, Cetyl Alcohol, Stearyl Alcohol, Stearalkonium Chloride, Methylsufonylmethane, Citrus Limon & Citrus Aurantium (Essential Oil Scent), Maltodextrin, Phenoxyethanol & Ethylhexylglycerin (food grade paraben-free and Formaldehyde-free Preservative). 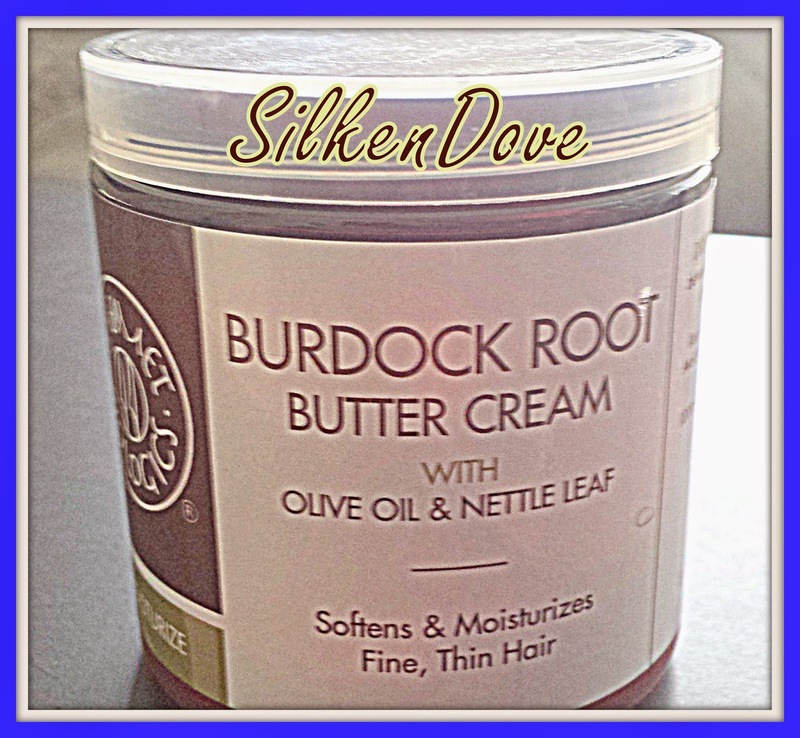 Promise: From the website - Our Burdock Root Butter Cream is a light, water based leave-in for fine haired naturals, straight styles and those looking for a light penetrating moisturizer. It conditions and softens while nourishing the scalp. Leaves hair healthy, soft and supple! Results: I tried this a number of different ways for styling. The best way that this worked for me was for a braidout. It gave my hair amazing definition and shine. I didn't even mind the glycerin in this product on colder Michigan days. I'm in the process of testing different products for my braidouts (more on that later). So far, this is one of my favorites.